Dr. Kaiser covers the value of preaching from particular Old Testament strengths such as narrative texts in which the richness of overall structure, rhetorical style, scene, plot, point of view, characterization, setting, dialog and key words are critical to engaging teaching and inspirational preaching. 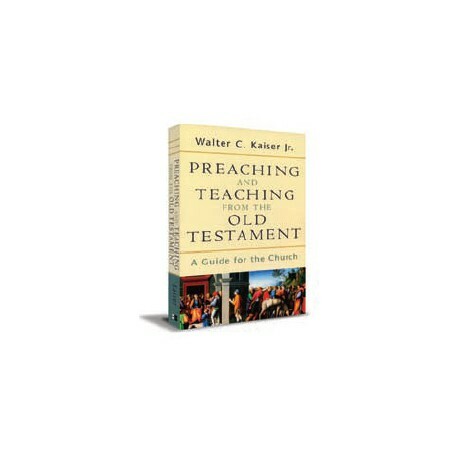 Dr. Walter Kaiser, is a highly acclaimed expert in bringing Old Testament Scripture to life for the purpose of more focused and application-oriented preaching. Preaching and Teaching from the Old Testament was developed out of tried and tested teaching material. In it, Dr. Kaiser covers the value of preaching from particular Old Testament strengths such as narrative texts in which the richness of overall structure, rhetorical style, scene, plot, point of view, characterization, setting, dialog and key words are critical to engaging teaching and inspirational preaching. You will also find practical focus by which to examine preach and teach from the texts of various Old Testament genres such as proverbs, prophecy and the torah. A final chapter examines the relevance of the Old Testament in speaking to a contemporary audience. Preaching and teaching-friendly features include a glossary, and a suggested outline worksheet for expository preaching. Here is a readable guide to preaching from the Old Testament, written by a man who is himself a superb preacher, scholar, and exegete. This book will help all of us fulfill our responsibility of preaching the whole counsel of God' with wisdom and grace. I recommend it highly.